"Parker is certain to be a popular choice among fans and press alike, in part because he isn’t associated with any of the recent major tournament failures." 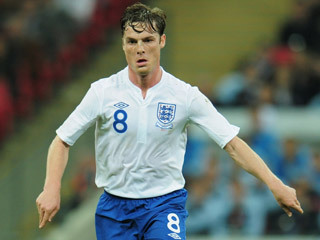 Scott Parker's remarkable rise continued on Wednesday with the revelation that he has been picked ahead of the likes of Steven Gerrard and Joe Hart to captain England in their Wembley friendly against the Netherlands. And despite the fact that the man who opted to give him the armband, interim boss Stuart Pearce, is unlikely to still be in charge come Euro 2012, the call has seen the Tottenham midfielder backed in to [1.51] to guide his nation out in their Group D opener with France. Most expected Pearce to name Gerrard, once backed at [1.4] in the Betfair market but now available at [4.0], as his skipper, however it appears that Parker, who at one stage traded at [5.6], was the player he described as having settled upon "a week or two weeks ago". The 31-year-old, who was voted England player of the year earlier this week, is certain to be a popular choice among fans and press alike, in part because he isn't associated with any of the recent major tournament failures, controversially missing out on a spot in the last World Cup squad. Of course, as Jamie Pacheco has noted, there is a big difference between being captain for a friendly in March and in the finals. Parker may not even be a starter for whoever leads England this summer, while form and fitness are also factors, albeit ones that tend to plague Gerrard more than Parker. Stripping Parker for Gerrard late on would arguably attract more criticism than vice-versa though, due to his emergence as a media darling and the widely-held that he has been a far more consistent and reliable performer for club and country over the last two seasons than Liverpool's inspiration. Harry Redknapp, the [1.53] favourite to take the job, hinted that Gerrard would be his preference but, given public support for Parker and the way that he has served him at Spurs, he might be reluctant to rock the boat so close to the competition and find it easier to stand by Pearce's decision.